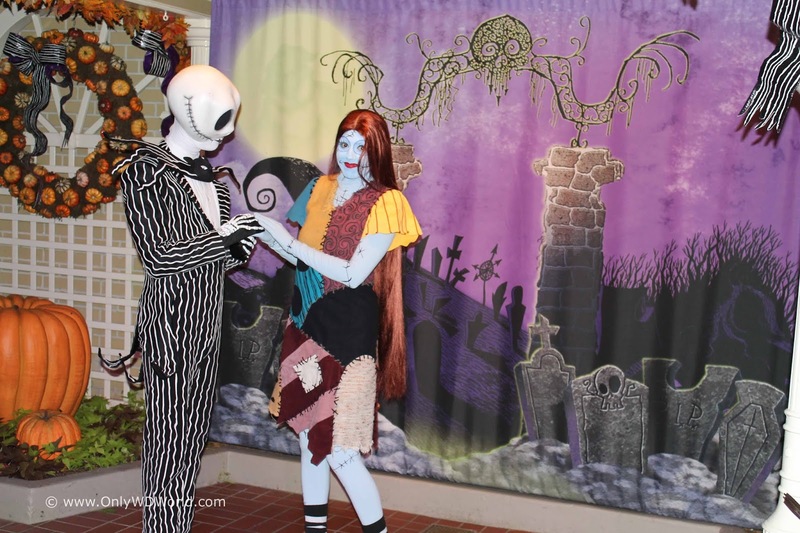 Home � Disney World Halloween , Disney World Special Events , Disney World Vacations , Mickey's Not So Scary Halloween Party , MNSSHP � Should You Do The Mickey's Not So Scary Halloween Party at Disney World? 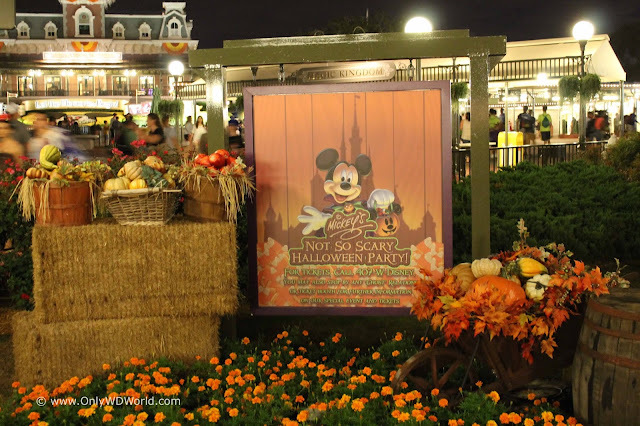 Should You Do The Mickey's Not So Scary Halloween Party at Disney World? 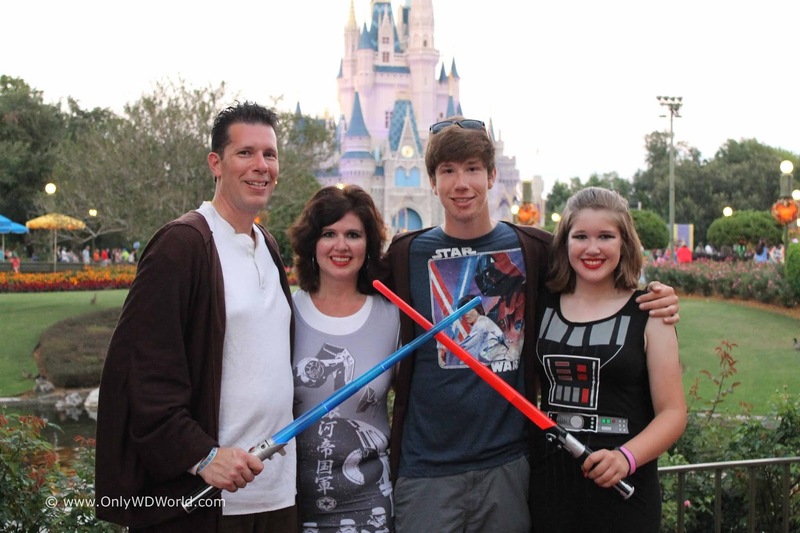 There are no shortages of ways to spend money at the Walt Disney World Resort. If you are visiting Disney World between August 17th and October 31st one of your decisions should be whether to attend the MNSSHP ( Mickey's Not So Scary Halloween Party) or not. 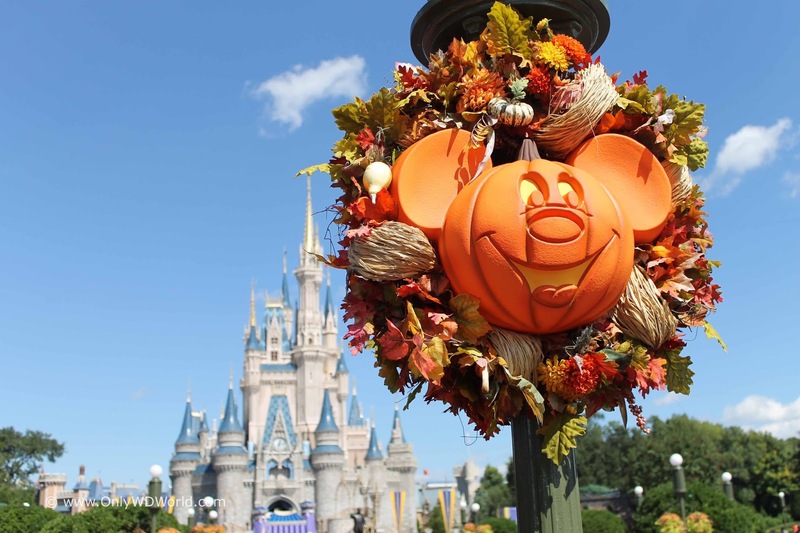 Disney World has added a number of special ticket events (meaning you pay extra to visit a special Disney World event above and beyond the normal park tickets). 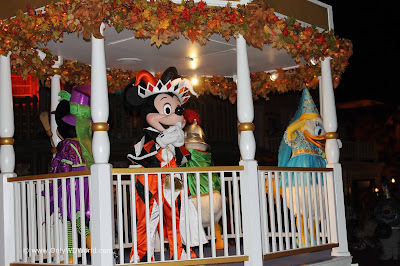 The two most sought after events are Mickey's Not So Scary Halloween Party and Mickey's Very Merry Christmas Party. Of the two our OnlyWDWorld Pick is the Halloween Party. 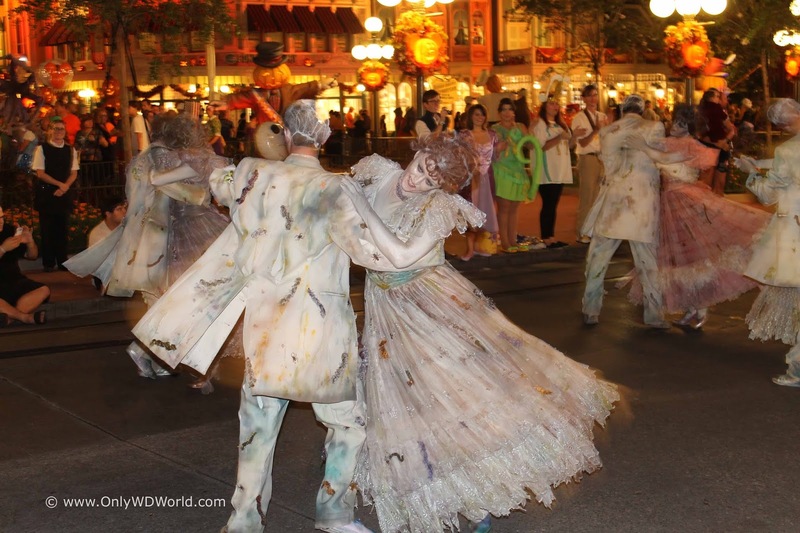 Disney World absolutely prefers to present a friendlier version of Halloween than the Universal Studios version. If you want to be scared then this is not the party for you. This is the family friendly version of Halloween with slightly scary villains and lots of Disney characters in delightful Halloween costumes. Disney Characters in costumes make memorable photo opportunities - From Mickey, Minnie Pooh, and others in unique costumes to Disney Villains and Jack Skellington making Halloween photo meet & greet opportunities, this is a great time to get special pictures taken with Disney characters. 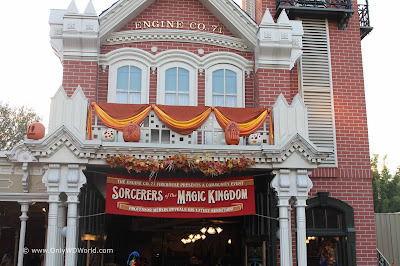 You can wear costumes at the Magic Kingdom and enjoy Halloween no matter what age you are. 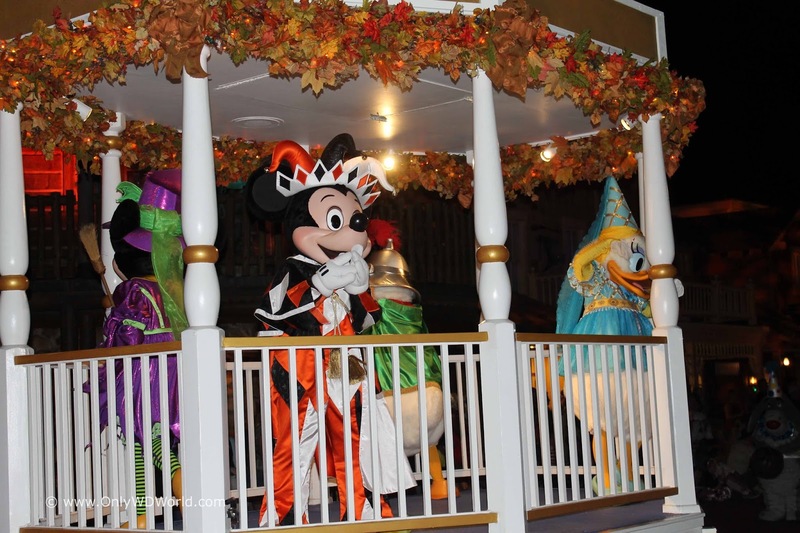 Guests are encouraged to wear costumes (within certain guidelines) for one of the few times of the year. One of our favorite parts of MNSSHP is seeing all of the families that are wearing their themed costumes during this event. 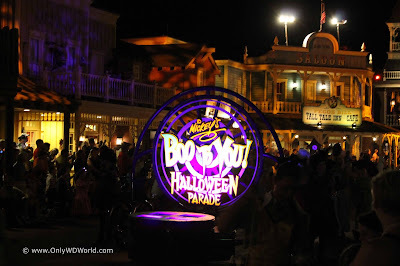 The Boo To You Parade is hands down the BEST DISNEY PARADE of the year. 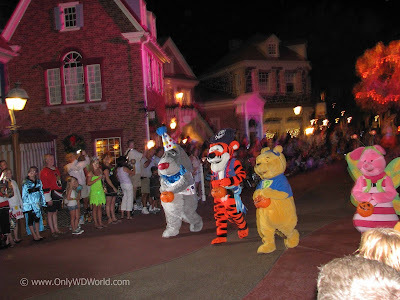 People may argue with us, but this is truly the best Disney World parade. It is shown twice during each event and you should plan on watching it both times. 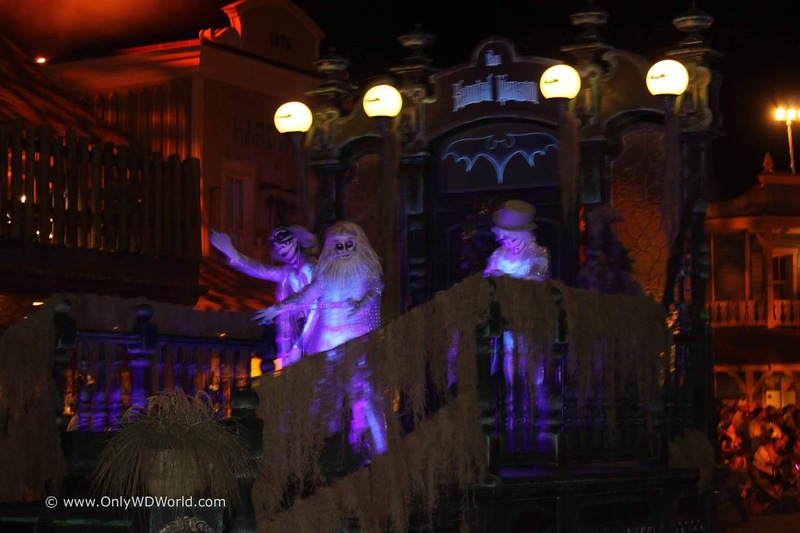 From the ride of the Headless Horseman on a real horse to the appearance of the Hitchhiking Ghosts from the Haunted Mansion, this is without a doubt Disney's Best Parade. Hallowishes Fireworks. The fireworks show during the party is a special one that includes special effects and fireworks that are much more spread out around the park then your typical nighttime fireworks. Of course the show is set to a backdrop of special Disney Halloween themed songs and characters. Trick-or-Treatng - There are multiple trick-or-treating stations throughout the Magic Kingdom that give out candy to ALL trick-our-treaters, no matter your age and whether you are wearing a costume or not. The last special reason to attend is the special lighting, decorations, food items, and merchandise that is only available during the MNSSHP parties. Definitely wear costumes. It will put you in the spirit to enjoy the party and have memorable pictures. Do NOT miss the Boo To You Parade! See it twice if you can. Get your picture taken as many times as possible! Whether it is with the Disney Characters in their costumers or just your family with the decorated Magic Kingdom background take LOTS OF PICTURES! Visit early in the season to save money! The party starts on August 17th and runs on select nights through October 31st. The price for the party increases as you get closer to Halloween so do not be ashamed to celebrate Halloween in August and save money. Visit the Main Street Fire Station and get your special FREE Sorcerers of the Magic Kingdom MNSSHP collectible card! 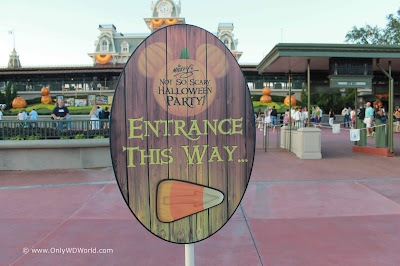 Should You Do The MNSSHP? 0 comments to "Should You Do The Mickey's Not So Scary Halloween Party at Disney World? "